Aliens are coming to invade Earth, destined to dominate, enslave or even kill off the human race. What would your reaction be, to Fight or Flight? That’s the title and concept behind Hyvmine‘s newest release. Just six months after the drop of their debut full length album, a brand new ep is gracing our ears. Fight or Flight is a three track ep that embodies some of my favorite elements of progressive metal: epic compositions, a running concept throughout the album and stellar musicianship exacting complicated compositions. This release is a new band flexing their sonic muscles and is destined for greatness. Fight or Flight is a tale of heroism in the face of adversity, destruction and, well, alien-invasion. Each of the three songs chronicles a different chapter in the tale of human-kind’s perilous decisions as invaders from another planet come to overtake Earth. It’s also an incredible musical offering from one of prog-metal’s most promising new acts. One thing that sets this release apart from their debut album is the exploration of group-writing. 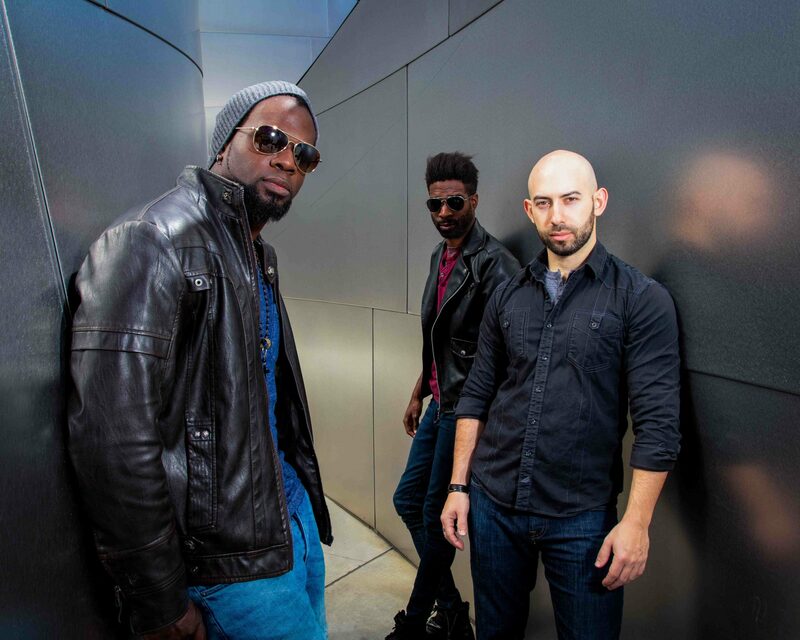 Earthquake, the first album, was written by the founder of the band, Al Joseph (guitar/vocals), where this new offering is a group collaboration. The second tune on Fight or Flight is “The Epicoustic,” which fittingly begins with an acoustic guitar intro, is another epic tale. Right there you got me, I love puns! So at this point it seems our hero has chosen to fight, and this song tells the story of the search for an ultra powerful weapon to use against the strong, invading force. Once this tune gets moving we’re hit with a cyclical rhythm reminiscent of some grooves presented by Dream Theater. It’s not til nearly three minutes into this eleven minute epic that the song really seems to move beyond the intro and into the first verse. “The Epicoustic” also has Joseph displaying the versatility of his vocal prowess, even with some growls to emphasize the intensity of the story. Concluding the trilogy of tunes is “Feather Bed” which kicks off with a synth intro joined by Joseph singing the opening melody. This song envisions the aftermath of the epic battle, as Joseph puts it, “this ironic depiction of what the battlefield will be like, like a feather bed to lay the heads of our fallen hero’s that served to protect Earth.” Within the first couple of minutes we have an emotional solo to set the tone of this, the longest song of the three. It doesn’t take long before the huge riffs come out. “Feather Bed” is a musical journey, albeit the close to the story, that maintains a strong connection to feeling. If you can imagine the emotional turmoil that may remain after a long, intense battle, this song carries that throughout. Three songs totally just over 30 minutes of music; this is prog-metal at its best! 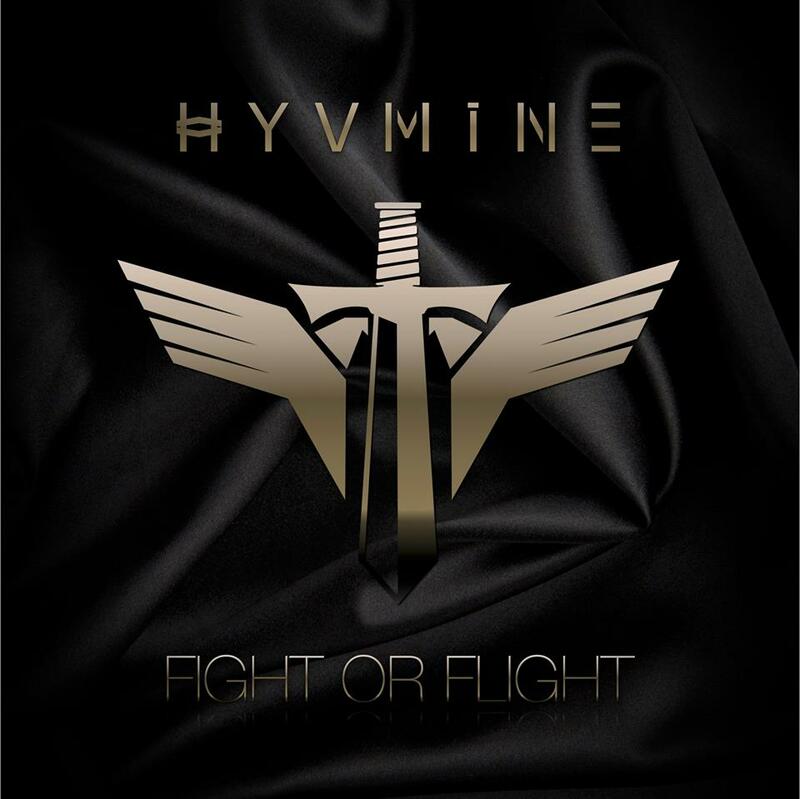 Fight or Flight is an extremely impressive demonstration of what Hyvmine has to offer the music community. I have enjoyed every single element within these three tunes and it only furthers my excitement for a long career from this new band. If you like progressive music, not just prog-metal, you will undoubtedly enjoy this album. It is like a sonic roller-coaster of epic proportions; the compositions, the musicianship, it all raises the bar! You can check out our recent interview with Al Joseph here.